In recent years, an increasing number of separation walls have been built around the world. Walls built in urban areas are particularly striking in that they have exacted a heavy toll in terms of human suffering. As territorialising devices, walls can be protective, but the protection they grant is never straightforward. This collection invites inquiry into the complexities of the social life of walls, observing urban spaces as veritable laboratories of wall-making – places where their consequences become most visible. 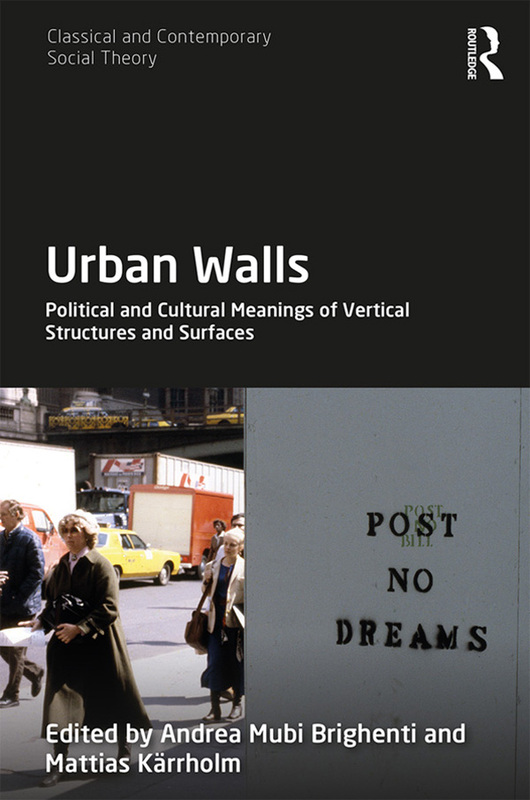 A study of the relationship between walls and politics, the cultural meaning of walls and their visibility, whether as barriers or as legible – sometimes spectacular – surfaces, and their importance for social processes, Urban Walls shows how walls extend into media spaces, thus drawing a multidimensional geography of separation, connection, control and resistance. As such, the collection will appeal to scholars of sociology, anthropology, geography, architecture and politics with interests in urban studies and social theory.